Thousands of drivers across America will strap into a race car this year and contend as a rookie. No different for this young Littlestown, PA born driver. Kody Hartlaub sets his eyes on a full season of 358 sprints at Lincoln Speedway. Hartlaub and company plan on running for the Lincoln Speedway 358 Rookie of The Year award. It will be a tall feet for sure. Hartlaub feels confident and morale is high. As PA legend and National Sprint Car Hall of Fame driver Fred Rahmer once said "The most fun you have is when you're learning." This will be the main objective for the 20 year old who now resides in Hanover, PA. Hartlaub has over 70 wins to his name during his karting days at several central PA tracks, along with multiple 600 sprint starts. Last year he made his 358 sprint car debut at Lincoln Speedway in October. "Our goal is to go out and log laps, you only get one first chance so I need to make a name for myself. It's a tough sport and these opportunities don't come by to often so when they do come you have to jump on them and give it your everything" Kody explained. Seat time is valuable for any young driver. During the winter months Hartlaub has practiced extensively using a sim model to sharpen his skills. The team has decided to use a proven winning combination for their 2016 campaign, Triple X chassis with a Don Ott powerplant. The team is realistic in their 2016 goals but will always stride for more, heart and passion is certainly there. "I don't want to be just a normal race car driver I want to make a name and be remembered. I want to be here for a long time and never want to quit. My idol was Kevin Gobrecht and I'm taking the same path he did, karts to micros to sprint cars. I want to be a outlaw driver." Along with a full 358 sprint season at Lincoln Speedway the team will also turn their attention to Susquehanna Speedway during their 5 scheduled races. Pending resources Hartlaub would also like to run select shows at Williams Grove Speedway and the full Nouse Signs & Graphics Summer Series. Hartlaub Racing has teamed with J&M Construction, Barbie Miller - Howard Hanna Real Estate Services, Mentzer's Remodeling, Mirfin Excavating & Paving along with Pretzel Boy as major sponsors. Contingency sponsors are PA Sprint Car News, 4Four Graphics, Rudisill Trucking, GBIR and Stringy's Speed Shop. Kody will have his car on show at the weekends Motorama show at the Pennsylvania Farm Show Complex in Harrisburg, PA this weekend. The car can be found at the Trail-Way Speedway booth. Announced earlier this month was the partnership between PA Sprint Car News and Kody Hartlaub Racing for the 2016 season. 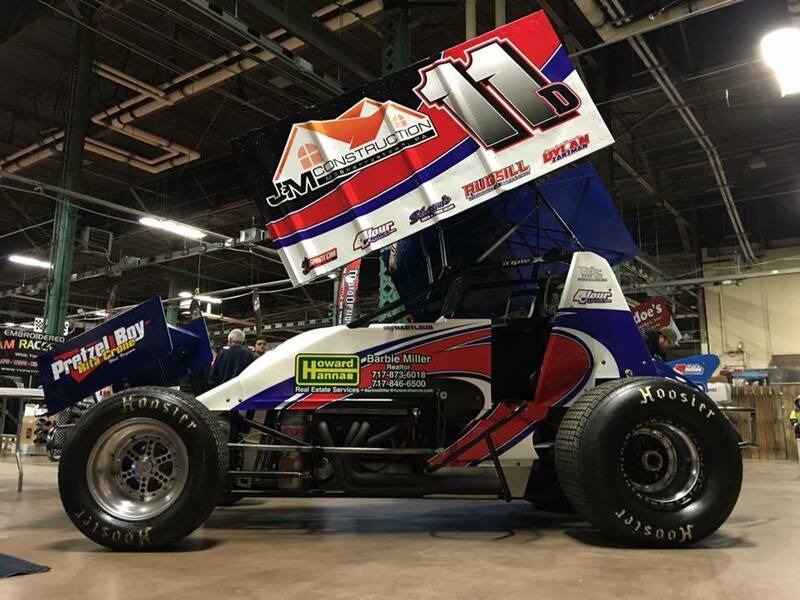 "I was given the opportunity to partner with PA Sprint Car News this racing season and I quickly jumped on the deal! I am glad to be working with Mike and all the guys there. I am looking to get my name out there as many ways that I can and with this opportunity it's giving me everything I could ever ask for. While being able to help Mike and his company grow they are also helping me grow and get noticed as a new sprintcar driver." Hartlaub said. The partnership will include exclusive articles, pictures, videos and interviews. The fans will see first hand in what goes into start up 358 sprint car team and Kody's rookie season. "When Kody approached myself about the possibility of doing something like this, it was really a no brainier." Mike Baker of PA Sprint Car News expressed, "The fans don't have the chance to see what these teams go through during the week and such. The most they'll see is the car getting unloaded, on track and loaded back up. We wanted to bring the fan in and have them experience first hand at what these teams go through. I'm personally excited to see Kody grow as a driver this year and I hope the fans can get behind and support him as well."